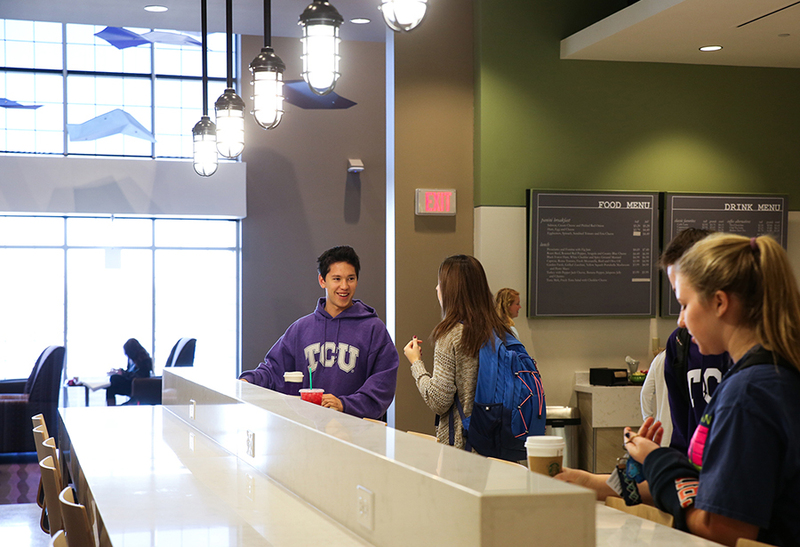 The new Worth Hills Village development on the TCU campus is a direct response to increasing demand for on-campus housing and a need for modern housing to accommodate TCU’s active Greek life. 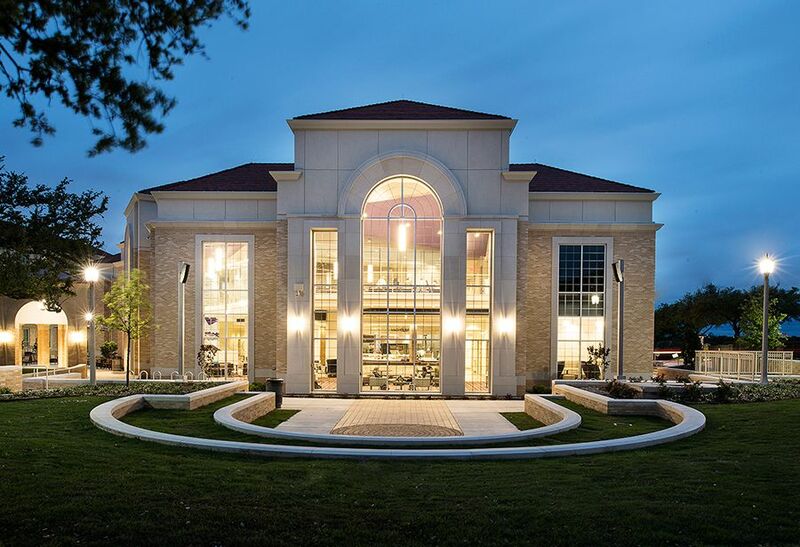 KSQ has completed three upper division residence halls and a multipurpose building with a dining hall, and is in the process of creating a new parking garage and a Greek Village with 11 chapter houses that will be the new home for 25 TCU fraternity and sorority chapters. 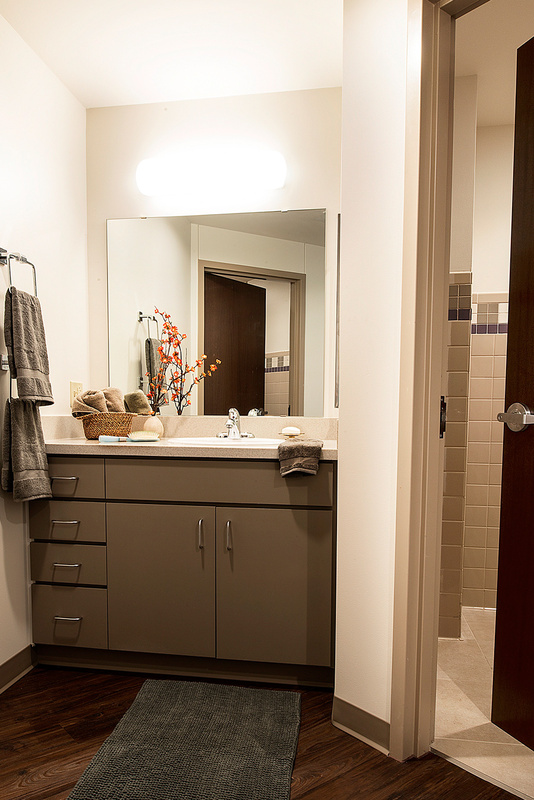 When complete, Worth Hills Village will provide a minimum of 1,342 new beds at TCU. 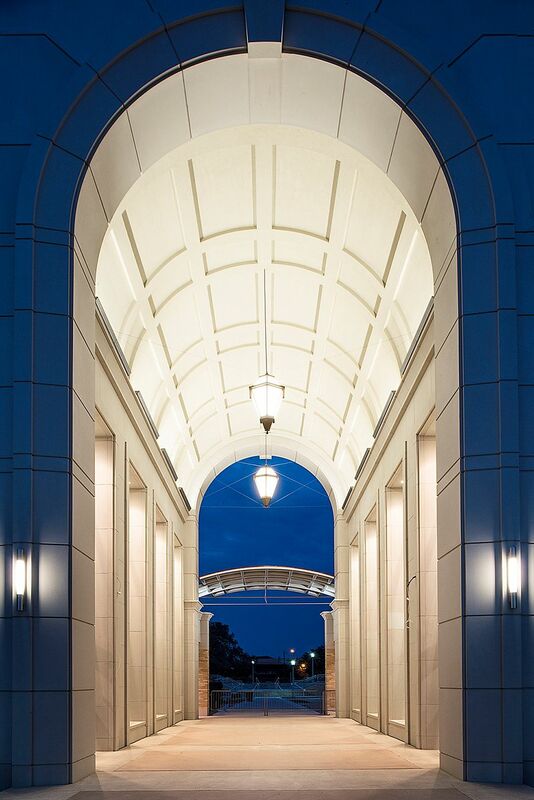 Pamela and Edward Clark and Marion Hall are connected by a dramatic barrel-vault archway serving as both a figurative and literal connector to the surrounding TCU campus. 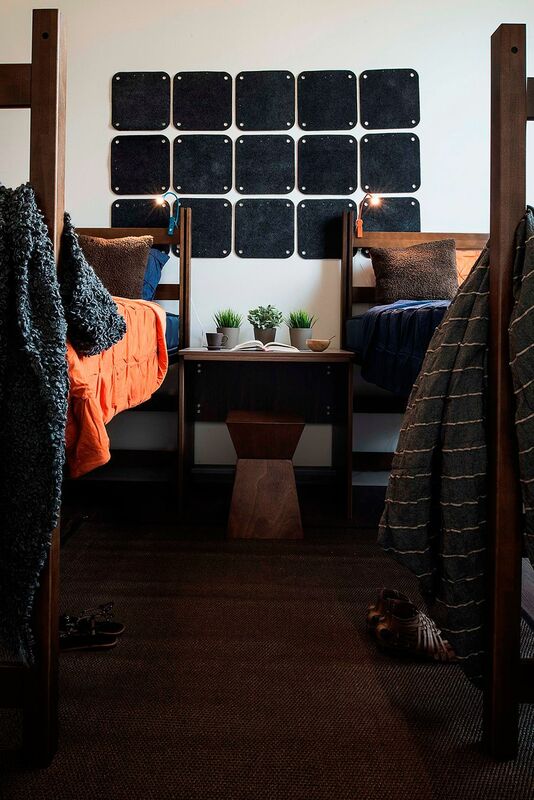 The halls offer 400 suite-style student beds designed for sophomores in a combination of two, three and four bedroom suites. 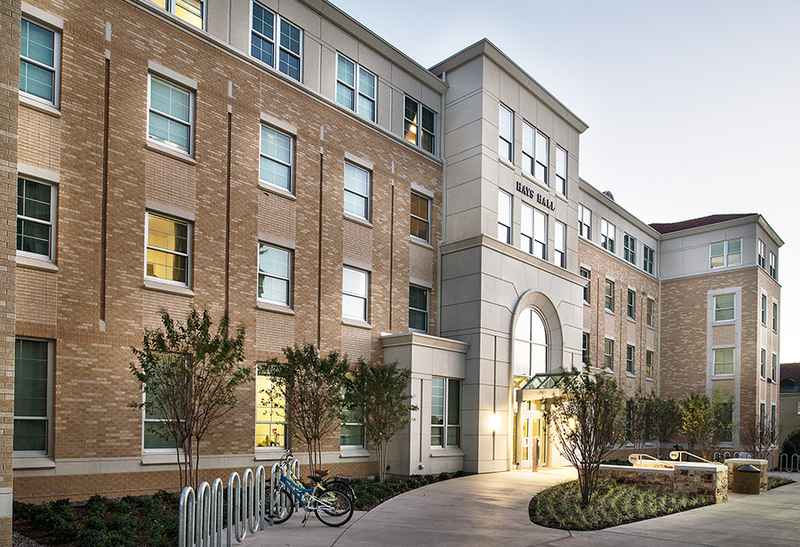 Marlene Moss Hays Hall is the third residence hall in Worth Hills Village and has the greatest ratio of common space per student of any building on the TCU campus. 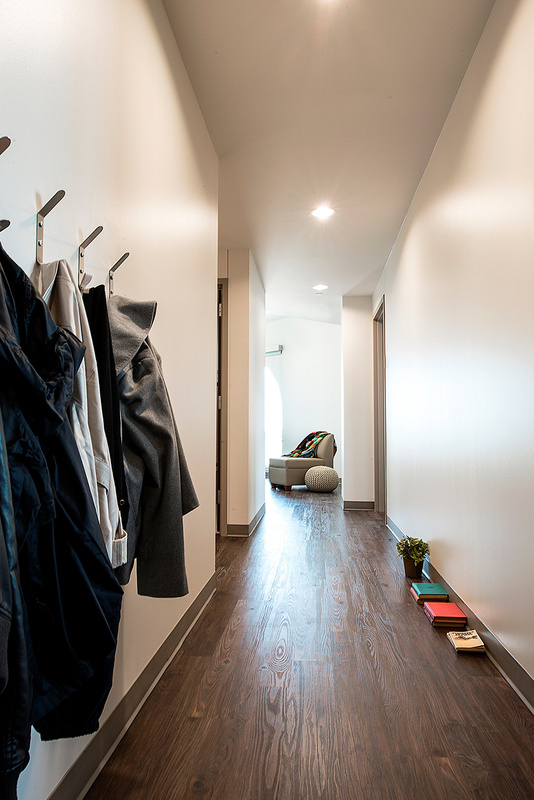 The 65,829 SF building accommodates 164 sophomore students in suite-style housing with combinations of two to four bed suites. 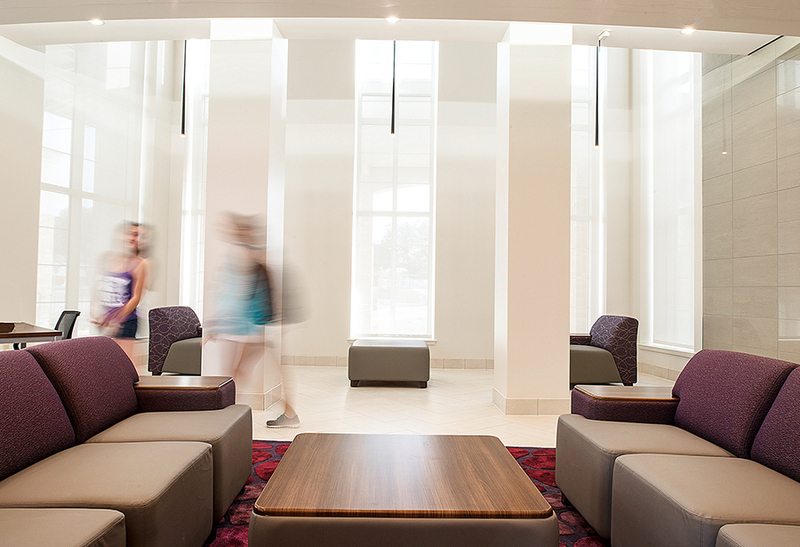 Every student suite has its own living room and at least one in-suite bathroom, and each floor has a common area and study rooms. Exterior seating is on the south side next to an active route of pedestrians and shared by large umbrellas. An outdoor amphitheater–equipped with speakers and projection equipment to display images directly on the building’s exterior–is on the east side of the building and creates a space for movie nights, speeches, and live music performances. Inside, a grand dining area on the first floor features a high, classical barrel-vault ceiling and natural light to create an open and inviting atmosphere. While materials and colors are unique to each dining platform a terrazzo floor with flecks of purple circulating throughout unifies the space. 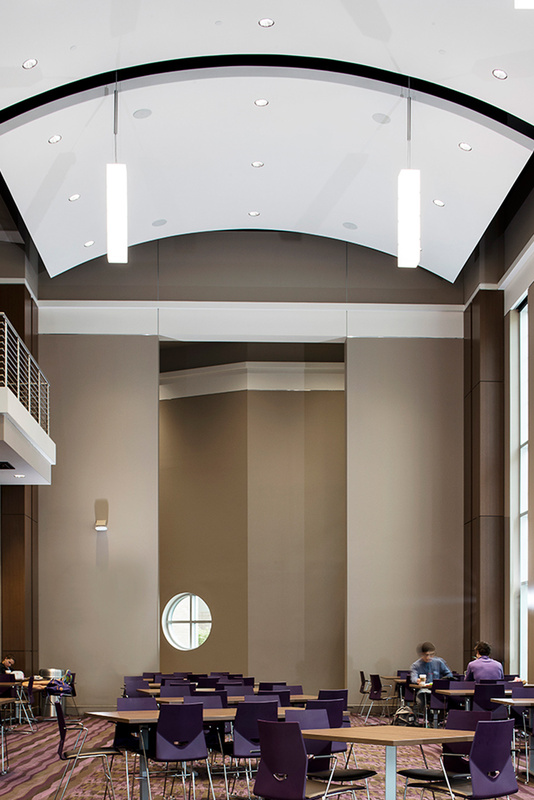 The building has an open stair (wrapped around a glass encased elevator) leading to Greek Life offices and flexible spaces for dining, studying, special meetings and dinners. 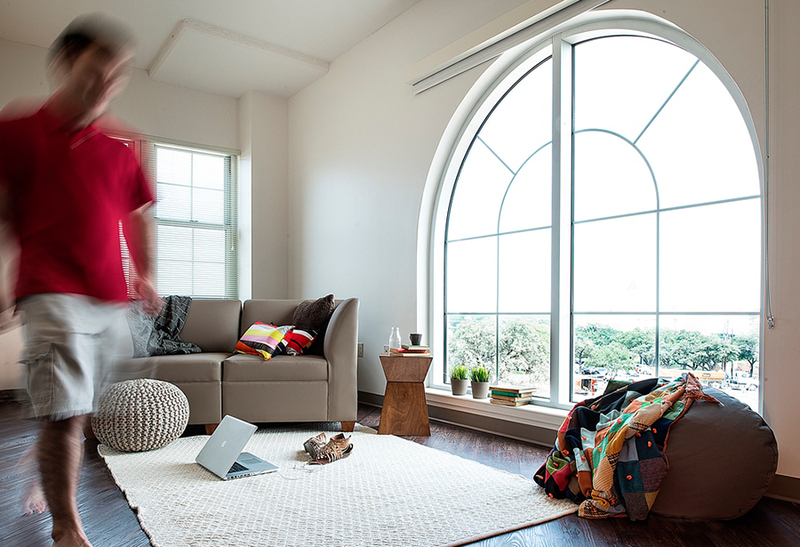 Soft seating along the edge of the balcony juts out and visually connects with the open stairs and area below; inviting students upstairs as an alternative space. The Greek Village within Worth Hills is comprised of a series of small, interconnected buildings in a park-like setting with features that create community and embrace Greek culture and ceremony. 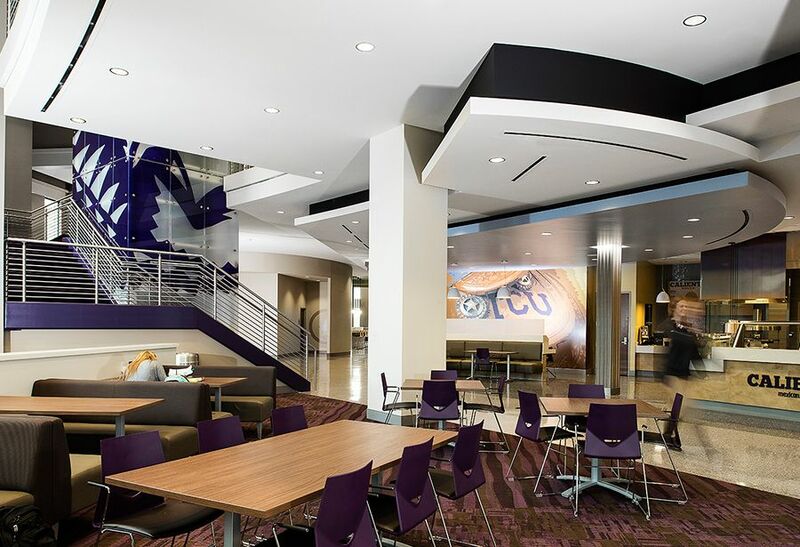 The 11 houses reflect TCU’s architectural style and chapters are connected in groups of two or three per building with shared interior stairs and elevators. TCU’s Ludowicci clay tile roofs top the houses and brick, cast stone, and stucco are used in a variety of patterns and front proportions for the facades. This variation gives each chapter its own unique identity and entrance along with the chapters having their own front porch with a round or square cast stone column either one or two stories high. All of the houses are four stories high with fourth floor bedrooms tucked into the roof area with dormer windows; allowing the overall scale of the buildings to be lower and more residential. The landscape design incorporates terraces, slopes, groves and open recreation spaces. Nods to Greek life are incorporated throughout the lawn as a visual show of university support and for ceremony as well. A Greek-style row of columns numbered to support the Divine Nine is included, as well as an obelisk, ovals, and an ellipse.